The Eiffel Tower is famous in France. The Eiffel Tower is in Paris. Paris is the capital of France. The Eiffel Tower is a huge iron tower. It was built from 1887 to 1889. It is on the banks of the River Seine in Champ de Mars remains. The tower is one of the world’s wonderful creation. It's called the Eiffel tower in the name of Gustave Eiffel. The tower was created by Gustave Eiffel. The Eiffel tower was built for 1889 the world fair. Eiffel tower height is 325 meters. The height is equal to the approximately 80-story building. France is the second largest building tower. High viewing tower in the world is the most tickets are sold here. Eiffel Tower is the hallmark of France. The tower was built by 300 workers. Its construction was completed in 2 years and 2 months, 5 days. Eiffel Tower Plant remains in a square shape. The length of each side of the square is 125 meters. The class name of the four pillars north pole, south pole, east, and west column. North and east of column lift. Stairs in the south remain column. The staircase leads to the first and second floor. Similarly north, east, and south gate and box column remains Interns. South pole has two private elevators. Le Jules Verne, a private elevator to the second floor is the restaurant The second is the private elevator service elevators. 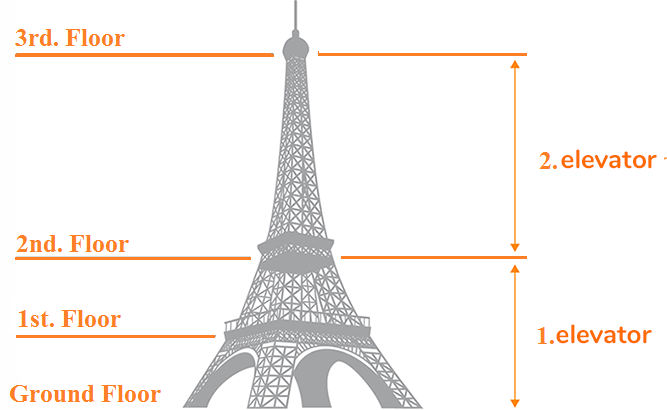 The first floor of the Eiffel Tower is approximately 4,200 square meters spread. It can come together is 3,000 people. The floor is four and a reticulated balcony. Etc. This is keeping the telescope on the balcony. They have views of Paris. Here Gustave Eiffel’s name written in large gold lettering. Which is visible from the street outside. Follow Gus salt for children on the exhibition floor. Here is ice skating in winter sometimes. 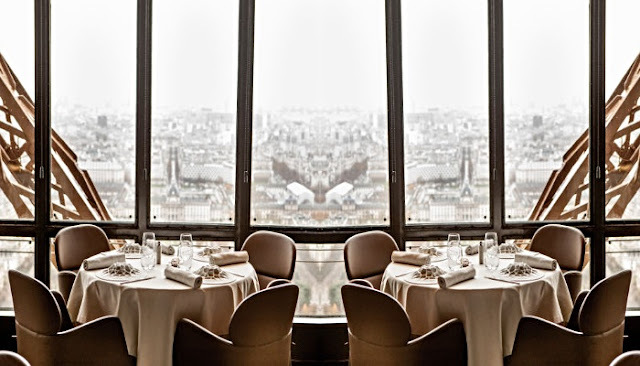 There are 58 Restaurants in the Eiffel Tower. In addition to a cafeteria. Where is the stuff of treats? The second floor of the Eiffel Tower extends around 1650 square meters. Its capacity is about 1600 people. Here is a cafeteria where we can buy food. In addition, there is a shop of a Seminar. In the second floor, there is a second sub-floor. And in this sub floor a lift to the third floor. A Restaurant Le Jules Verne is also on the second floor. We can come to this restaurant by a private lift. In the second floor, we can get tickets to the third floor. the second floor is 115 meters high from the ground. The third floor is spread over approximately 350 square meters. It is 275 meters high from the ground. Its capacity is 500 people. On the third floor is only one lift. This floor is closed by the glass in all sides. In this floor an office of Gustave Eiffel. This office made up of glass. In this cabin, there is an effigy of the mother of Gustave Eiffel. On the third floor, there is a second, third floor like sub floor. Telescope etc. ready in this sub-floor. The sub-floor is made of mesh. One more sub-floor above this sub-floor. This one more sub floor has restricted for visitors. Radio and TV Tower has engaged here. The decoration of the Eiffel Tower lights, etc. which continues until one o’clock at night. Because of this, the tower is shimmering for 5 minutes each hour. Paris is a very big city. The Eiffel Tower is in Champs de Mars, Paris, France. Paris is The capital of France. Eiffel Tower you can come by car. Eiffel Tower you can come by car from any city in France. Just look at the map given at the end of the page. Map out a roadmap from your city to the Eiffel Tower. Print it. Take the printed map and come straight away. Belgium, Germany, Italy, Luxembourg, Monaco, Spain, Switzerland, the neighboring country of France. We can come to the Eiffel Tower from the neighboring countries. There is no way to walk to the Eiffel Tower. The Charles de Gaulle airport near the Eiffel Tower. We can not walk from the airport, but it is equal near like come by walk. Several major airports of the world link here by airplanes. All major companies airplane arrive at the airport. Taxi from the airport is available. Many natives, exotic and international tourists arrive by plane. RER is famous in France. Only a few minutes’ walks from the Eiffel Tower to the RER station. RER is similar to rail. Metro reach in Almost all Paris. The Eiffel Tower is near to the line. 6, metro station named Bir-Hakeim. Eiffel Tower is visible from outside the station. We can come from the station to the Eiffel Tower by taxi etc. Eiffel Tower is the world famous tourist destination. 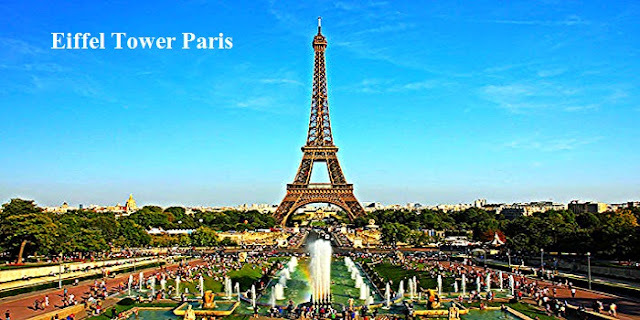 Hotels near Eiffel Tower and rooms for accommodation are readily available here. The hotel offers rooms with different costs. Advance booking is also can ready. Just choose the right place to stay. 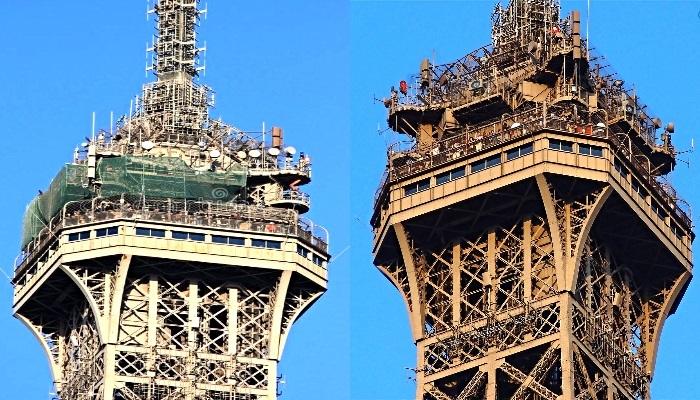 For the Eiffel Tower, all precautions while traveling. Got Full details before staying in any hotel. Should take care of you and your belongings to the new location. The Eiffel tower is the world’s most famous and attractive tourist destination. Millions of foreign and native tourists come here every year. Eiffel Tower every day is becoming more popular. Nowadays everybody’s dream to take a photo with the Eiffel Tower. tourist buy a half-fit model of the Eiffel for memories. Light of the Eiffel Tower at night will look a bit different. The after-hours clubs form a part and parcel of the New Years venues in New York. The events organized by these after-hour clubs are extremely popular among people who come to celebrate New Years in a grand style. Celebrations in New York turn to a full tide with the midnight fever which affects each and every person on the floor on New Years. The after-hours clubs provide a perfect atmosphere to help you to enjoy the New Year in absolute fun and enjoyment according to your expectations. It is important to note that the after-hours clubs do not entertain last minute reservations and bookings. So, if you want to be a part of the midnight fever on New Years in New York, then, do not be late in making the necessary arrangements. Reserve your tickets well in advance in order to avoid the last minute mess. In any case, you would never want to spoil your New Years party! There are plenty of after-hours Clubs in New York. These offer excellent services and facilities. If you are a party animal, then this is perhaps the best possible way to enjoy the New Years Eve in New York. The DJs are the heartthrob of these clubs. They are extremely talented and shows a great sense of creativity when it comes to music. They blend the music well and mix it to perfection, thus weaving an aura of trance and charm so that you can enjoy the New Years to the best possible extent. The after-hours clubs offer excellent packages and rates to its guests. So, if you are really planning to spice up your New Years Eve, then the best thing to do is to reserve your tickets in advance. 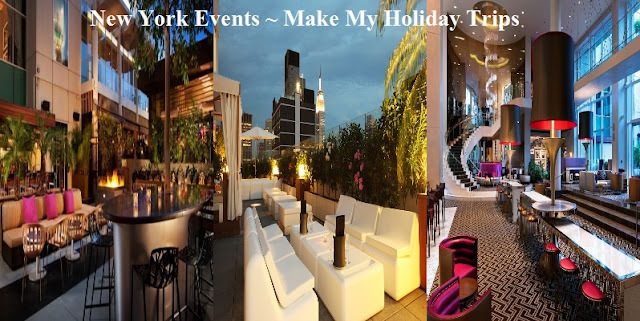 This will not only help you to enjoy the New Years party but also arrange your trip well. You can choose from a wide range of drinks and enjoy a refreshing sip of your favorite brand of wine. The bartender will help you out with some unique cocktails with refreshing lemon. You can also try out some of the finest dishes that complement your drink perfectly. New Years events in New York are some of the most happening events that are eagerly waited upon by everyone all over the world. People come to New York from all over the world to witness the craze of New Year's party in New York. Surprisingly, New York responds perfectly to each and everyone’s call. 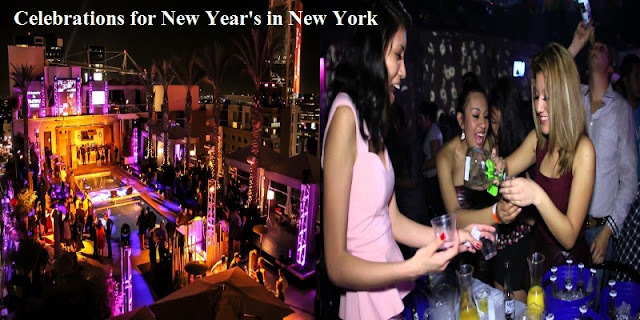 It is a delight to see the multitude of people who gather at the various nightclubs, bars, pubs, and discos in New York to celebrate the New Year phenomenon. One can only wait and observe the rush of adrenaline in the veins of these party animals when they take the floor. New York presents plenty of nightclubs to its visitors. As a rule, different nightclubs have different age bars for the various events that they host during the New Years in New York. Some of these clubs have an age bar of 18 years, while others do not allow entry to people who are less than 25 years. One of the important things that you need to do is to update yourself about the various nightclubs in New York and their norms. These include information pertaining to the admission of 18+ to the New Year parties and also the ones who. The all-ages New Year events in New York form one of the most important hangouts in the city. People simply become crazy about the celebrations. You can party at the nightclubs and groove into your favorite tune or, take a sip of your favorite drink. If you have a taste for cocktails, ask the bartender and he would provide you with some real tongue twisting cocktails. The best is yet to come. When the clock strikes the midnight hour, the actual celebrations begin. With every passing second when the countdown approaches the final hour, people hold their breath. The party again resumes it full flow after 12 o’ clock in the morning. New Years has arrived in New York and you can enjoy life to the lees and the ceremony as well! Are you planning to come down to New York during the New Years? It is indeed a great idea. Celebrations for New Years in New York reach its maximum when the final countdown begins. So, are you all set to rock the New Year in New York? If your answer is in affirmative, then a proper planning of your trip will actually set the platform rolling for you. It is an interesting fact to note that New York provides you with a wide range of options. You can find numerous hotels to stay according to the suitability of your budget in the city. These hotels range from luxury hotels to boutique hotels and economy hotels. Other categories that fall under the luxury hotels include 5-star deluxe hotels, 4-star hotels, and 3-star hotels. 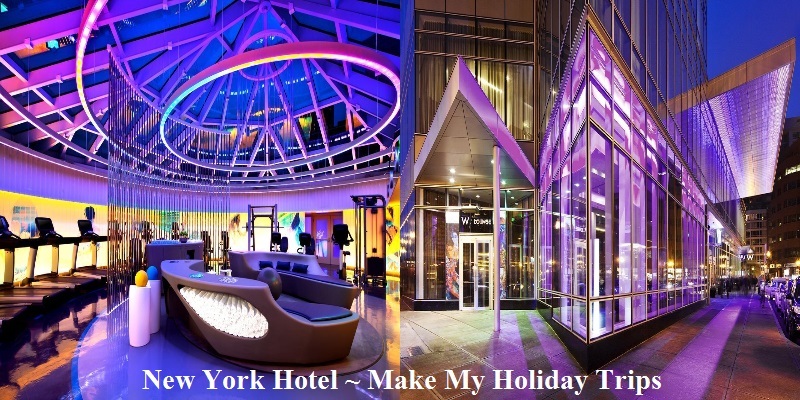 Accommodation forms an important aspect of staying in New York during the New Year. It is suggested that you select your hotel that is located in proximity to the popular places of New Year events in the city. This makes the event all the more pleasant and comforting. It is advised that you choose your hotel well in advance before the beginning of the New Year. Advance planning will help you to plan your trip well. One of the advantages of prior planning is that you can avoid the last minute mess. After all, nobody wants to spoil the New Years Party and celebrations by improperly planning his trip! Pick up the hotels that you feel would best suit you. If you are done with your advance bookings at the hotel, then you can ask the hotel authorities to help you out with some of the New Years Event venues. If you are lucky enough, then you can also get complimentary passes from the hotel to any of the New Years venues. Annual New Years Events in New York has become a craze for people who travel to this city with the intention of spending a gala time. These events have gained immense popularity over the years and have received a phenomenal response from the public. 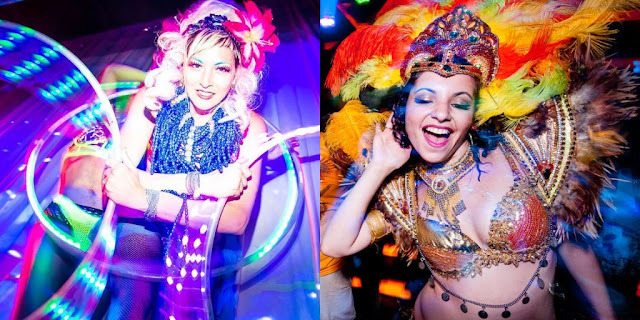 Do you want to be a part of these spectacular events in New York on the eve of the New Years? 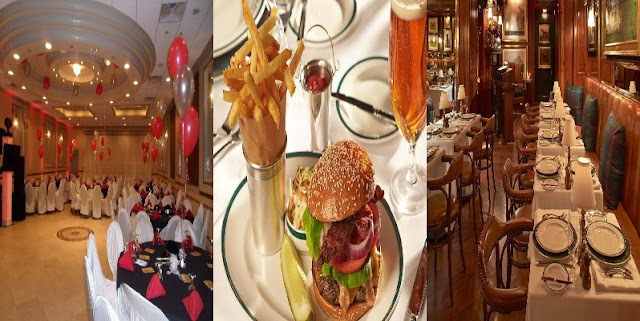 New York provides you with plenty of options so that you can enjoy each and every moment of your New Years bash. Apart from being one of the busiest cities in America, the city also happens to be one of the best places to party during the New Years. So, what are you thinking of? If you want to paint your New Years according to your desired colors, then New York is the right place for you. One of the most popular places to party in New York during the New Years is the Times Square. This is a very special event which is held annually and is visited by people from all parts of the country. It is a delight to witness the maddening crowd of people joining hands together and awaiting the New Years in sheer excitement. You can also be a part of them. When the clock strikes 12, the world famous ‘Waterford Crystal Ball’ begins to descend in front of the multitude of people. 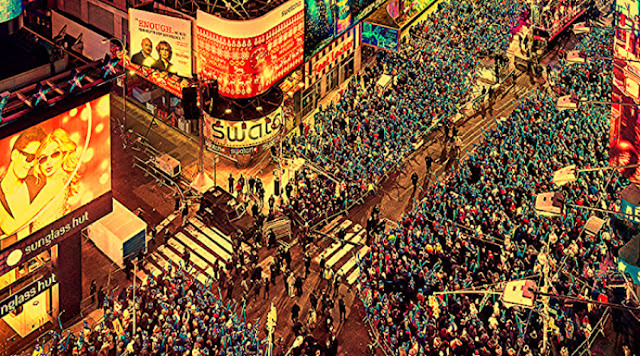 People go crazy over this event, popularly known as the ‘Ball Drop’ at the ‘Times Square’. If you want to avoid the rush at the Times Square, then you can visit some other places in New York where New Years is celebrated with equal fervor and enthusiasm. These include places like ‘New York Harbor’, ‘Statue of Liberty’, ‘Central Park’ and the ‘Grand Army Plaza’. 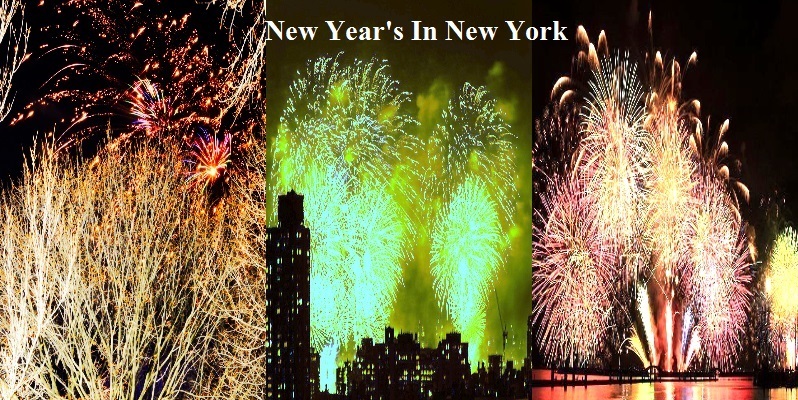 All these places are renowned for the New Years events in New York. If you are a party lover then you can visit the nightclubs or Pubs in New York. Annual events are also held in these places. Groove into your favorite tune played by the DJs and enjoy your favorite drink as you celebrate the New Years. This will certainly guarantee you a fun-filled evening packed with entertainment. New Years celebration is always a happening phenomenon in New York. 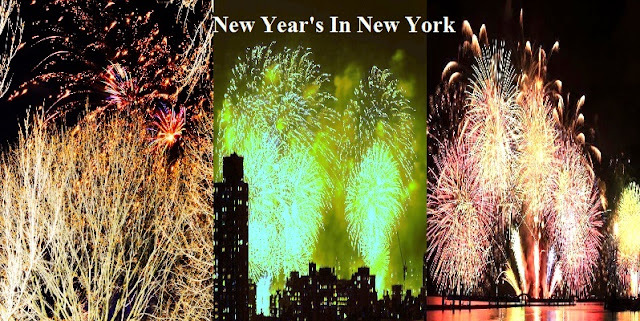 It’s not that other cities in the world celebrate New Year with less enthusiasm but when it comes to New York the celebrations are always special. United States of America of New York City is one of the busiest places in the world. Millions of people come to this city, all for different purposes. 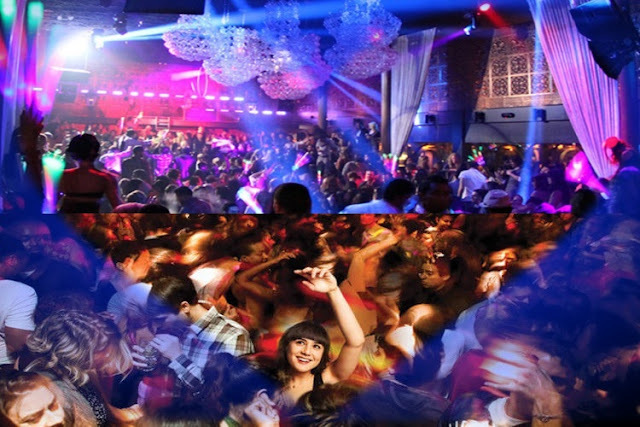 Partying during the New Years at the nightclubs, discos, pubs, and bars also forms an important aspect of the Nightlife in New York. The city which as it is never sleeping has all its energy reserved for the first day of the year. There are many nightclubs that celebrate the New Years in great style and fashion. In fact, it is wonderful to see the New Years celebrations at all the major pubs, discos and nightclubs throughout the city. If you are planning to come to New York for the New Years Eve and if you are above 25 years of age, then this is perhaps the right move you are going to make. Best Celebrity New Years Parties in New York. It is interesting to note that the nightclubs which are open to 25+ people offer excellent services and facilities. In fact, they also offer special packages for the New Years Eve that include lucky draws, complimentary drinks, combo packs, discounted rates post after hours during the midnight and a host of many other special packages that attract people from different parts of the globe. The 25+ New Years events in New York are one of the most happening events that truly spice up your celebrations in New York. Many of these nightclubs that allow entry to 25+ people includes the after-hours clubs. These clubs are open even after the normal working hours and serve its guests till early morning. They also host many events which are specifically targeted at people who are above 25 years of age. At many clubs, you can also watch strip dance. In fact, the events at these strip bars and clubs are extremely popular and therefore, the clubs are very strict in restricting people’s entry unless they are convinced of your age. Enjoy a wonderful time at the New Years Eve in New York and spend a gala time at the nightclubs partying all through the night as you await the brand New Year. When you are in New York, celebrate the New Year in the New York celebrity style. The city boasts of some of the hottest clubs and venues that hold different New Years events. To have the experience of the best Celebrity New Years events in New York, one needs to first gather information about the happenings across the city. New York is a place where people from the entertainment world, high socialites and people from the big screen gather to enjoy the festive mood of New Year. 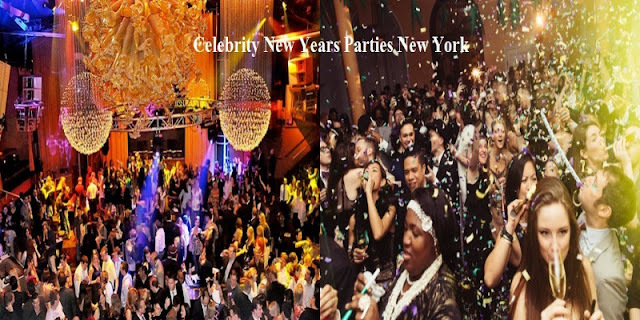 If you have planned a trip to New York this New Years Eve, do not forget to be a part of the Celebrity New Years events in New York and get the most vibrant experience of your life. Most of the events are held in different parties where celebrities put up their appearance and add a gleam to the entire evening. Who would ever mind being a part of these hot celebrity New Years events in New York, that too on a chilly night in December? There are also the options of offering a pleasant treat to your eyes by combining the tantalizing cuisine of celebrity chef David Burke with the sensational models of Hawaiian Tropic. These sort of mesmerizing New Year Celebrations happen only to the ones who wish for it earnestly. For that, you need to book the tickets for these Celebrity New Years events in New York. Be a part of these Celebrity New Years events and book accordingly. There would definitely be a lot of rush to these places to have the best time of their lives – with the best of music, best food, best entertainment and lastly the best drinks! So, have the most stylish and elegant New Year by being a part of any Celebrity New Years events. New York is a popular city in the United States which never sleeps. It is always pulsating with life and teeming with energy full to the brim. You will always find that things are happening in New York. This is the reason why the city is visited by people not only from all parts of the country but also, from all over the world. So, why should you not be a participant in the best New Years Nightlife Parties events in New York? Does that not make you interested in traveling to New York during the New Years? It is advised that you plan your trip well in advance in order to avoid any last minute mess. One of the best things to do is to obtain information about all the happening events and parties in New York during this time of the year. New York Best Hotels New Years Parties. You would definitely want to enjoy a gala time in New York during the New Years. Some of the finest parties are provided by the nightclubs and pubs in the city. Once you are a part of a New Years event, you can enjoy the party in a full swing. Enjoy the fabulous music played by the DJs at the pub and melt away with the night. Submerge into the depths of your soul and discover a new self, indulge in the festive spirit of the night and celebrate the New Years to your utmost satisfaction. Apart from the fantastic music by the DJs, you can also enjoy live performances by artists, music rooms with dance floors, premium bars which remain open till late night, hip-hopping and hard rock music, special packages for couples, VIP services and a host of other services that coalesces to spice up your New Years Eve. Enjoy a gala time at the New Years parties in New York and cherish the memories for many more years to come in future.